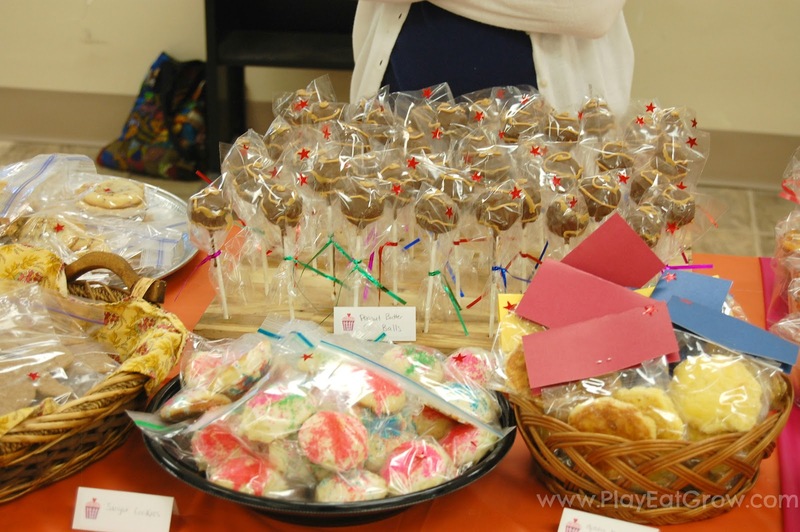 Last Sunday, May 20th, we held the Missionary Bake Sale at our church. Remember I passed out these little gems the Sunday before? Well, the advertising worked, because we had an phenomenal turnout. I only have pictures of the before we sold, but I am happy to report that nearly everything got sold. We were able to raise over $1500! I am so blessed by the generosity of my church. I love you guys! 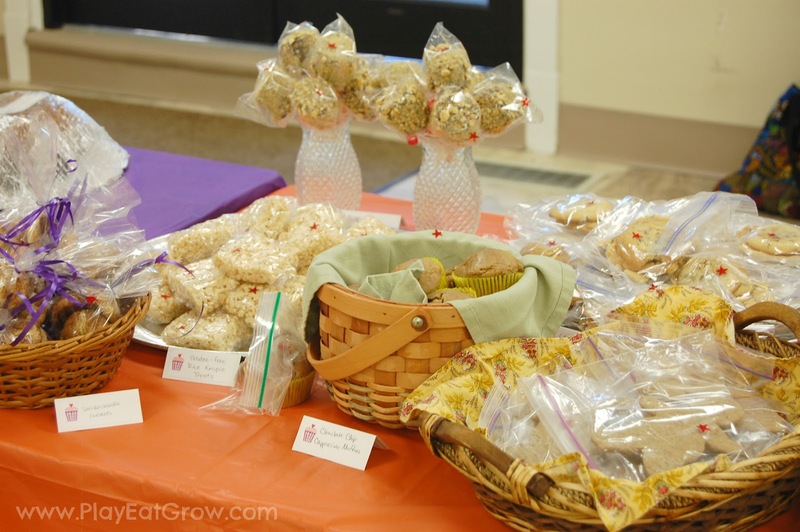 Some of you might be thinking, why do I need to read about a bake sale? I have no intentions of putting one on. But I’m here to encourage you to at least think about it. I got lots of grateful responses saying they were so glad that I did this (which was the first one our church has had in over 30 years) and they were so glad for the opportunity to get involved with helping the missionary teams in a tangible (and sweet) way. 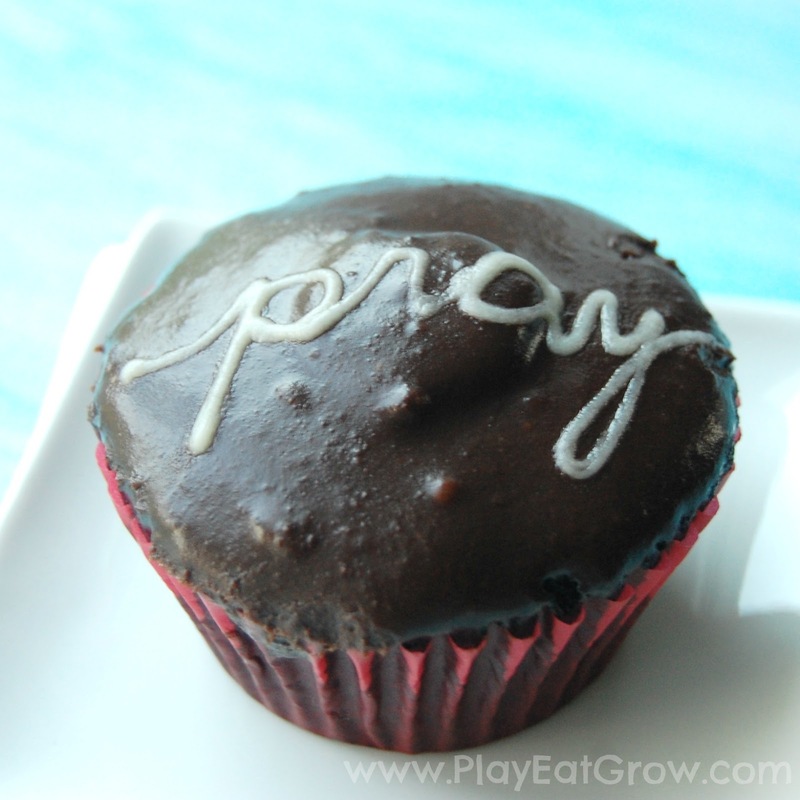 So yes, maybe the idea of a bake sale is not on your radar yet, but, would you pray about it? 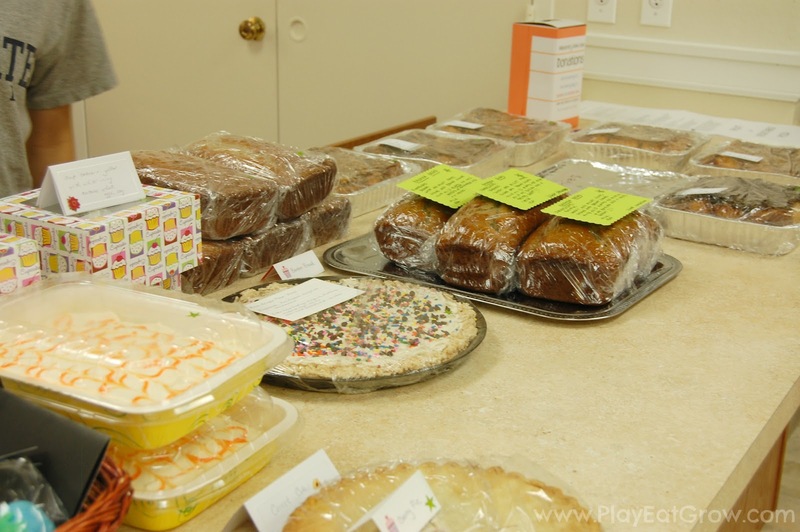 My bake sale was split into two parts, one part was for buying things outright, generally smaller items, and then the other part was a silent auction for the larger items. You could do one of the two formats or a mix of the two like I did. To sell outright requires more manpower to handle the demand, but it is more easily accessible to the average joe (or the preschooler with a dollar from his momma). 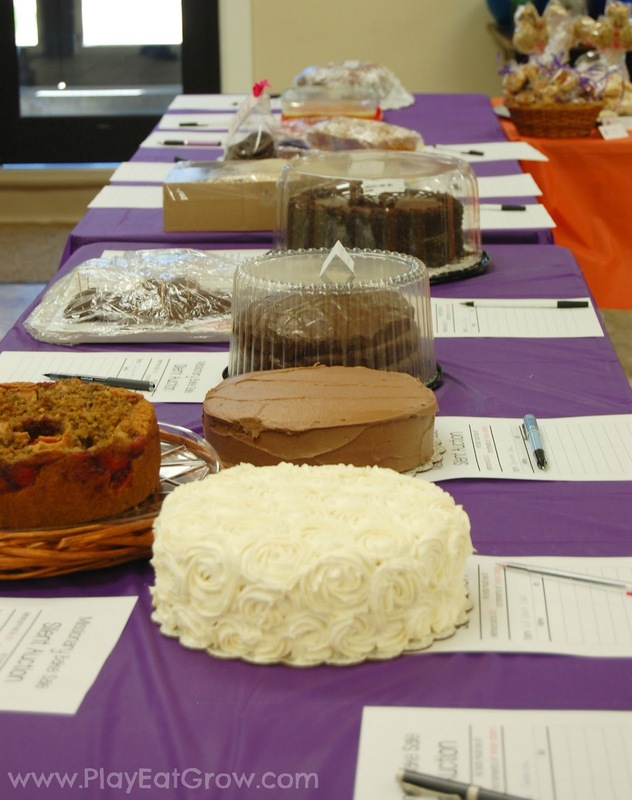 To do a silent auction, you don’t need very many people, but it is less accessible to everyday people and less exciting (at least until the last five minutes), but it also has the potential to rake in more money per square inch of treat. We had a cake sell for $100! To make things easier for the selling, we only had four prices in the buy outright section: $1, $2, $3, and $6. This worked out great. I grouped each price together and put it on it’s own separate color table cloth with a sign. (i.e., everything on the orange tablecloth is $1, everything on the pink tablecloth is $2, etc.) It was easy to find items for each price point, and the color separation was a good visual for the customers. It was easy to point them to whatever price they were looking for just buy saying a color. In addition to the colors and the signs, we put stickers on every item. (red for $1, blue for $2, etc.) so that if people bought items from different tables, the person checking them out could easily tell what price it was. Beyond making sure that the prices are clearly marked on the tables, make sure that each item is marked so that people can know what they are buying. I made little tents out of cut in half index cards and stuck a pretty label on it that we filled in with the name of each item. 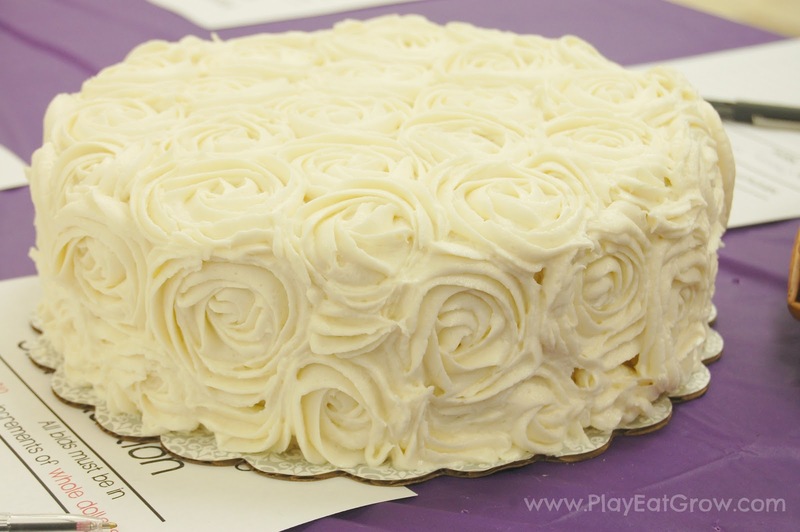 This cake looked elaborate, but was easy to make, see the tutorial here. Remember that we eat with our eyes first. So take the time to make it look good. A pretty label or a nicely decorated cake goes a long way. In the cup and bagged for easy transport. Out of the cup and ready to eat! 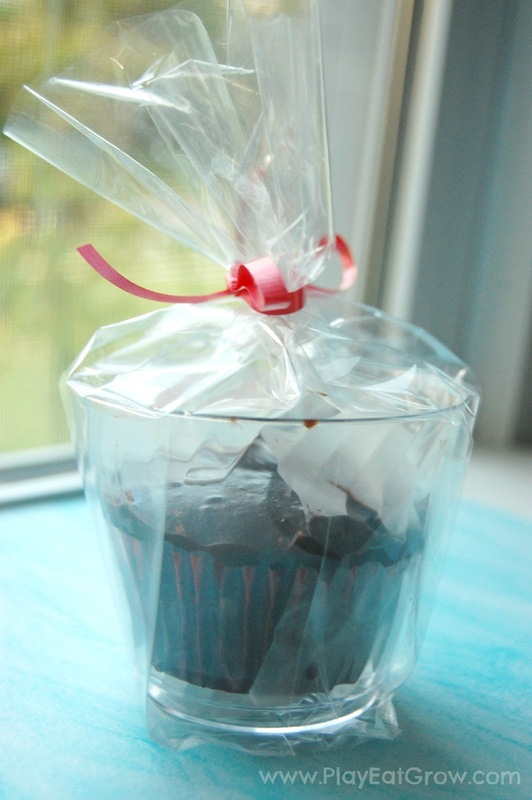 A great way to package cupcakes without smushing their pretty tops is to put them in clear plastic cups (the short kind). 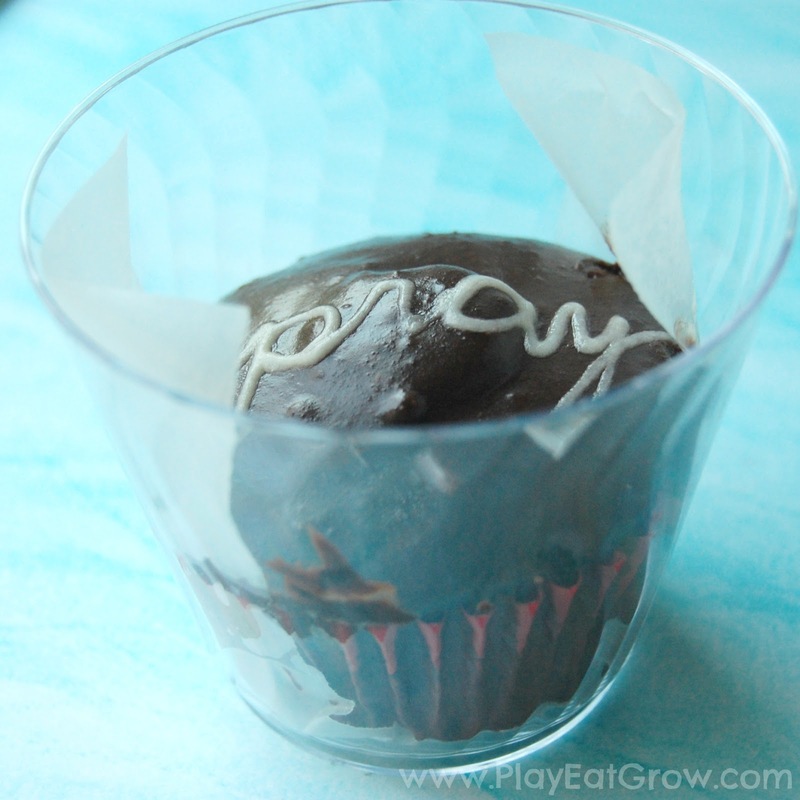 I lined my cups with strips of wax paper so that it would be easy to lift the cupcake out without having to dig your finger in the icing. And then I wrapped a bag around it and tied it with a bow. Pretty and functional. We put the jar right by the cashier so that people could donate the change we gave them. This event is for charity. But not everyone is going to want to buy a treat. But that doesn’t mean that they don’t want to support the cause. So give people a chance to just give. You’ll be surprised at what you get. 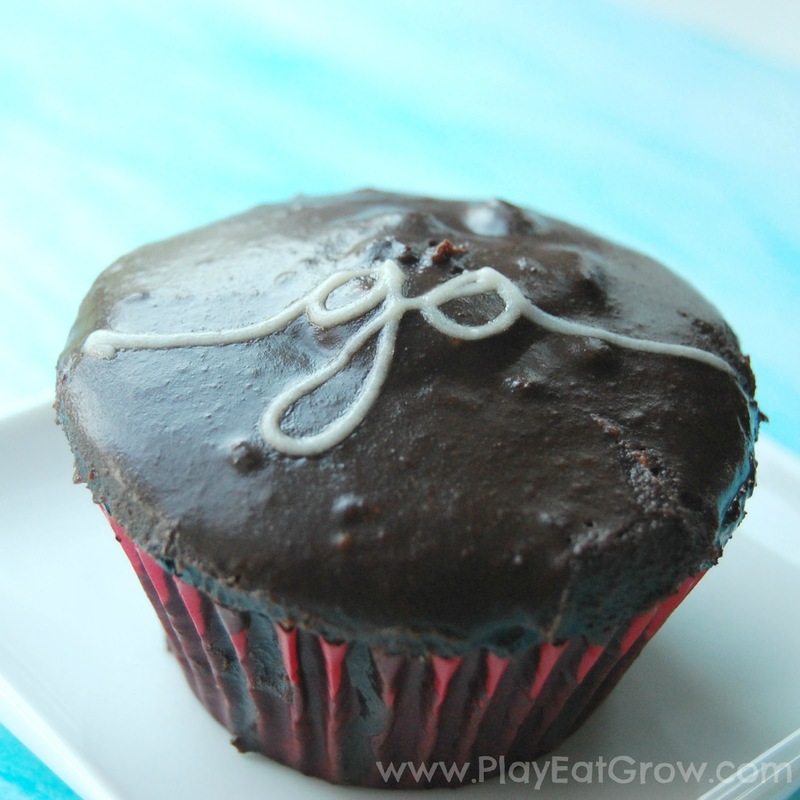 Baking vegan can cover a lot of different allergies, and it can still be delicious! Different diets are all over these days. 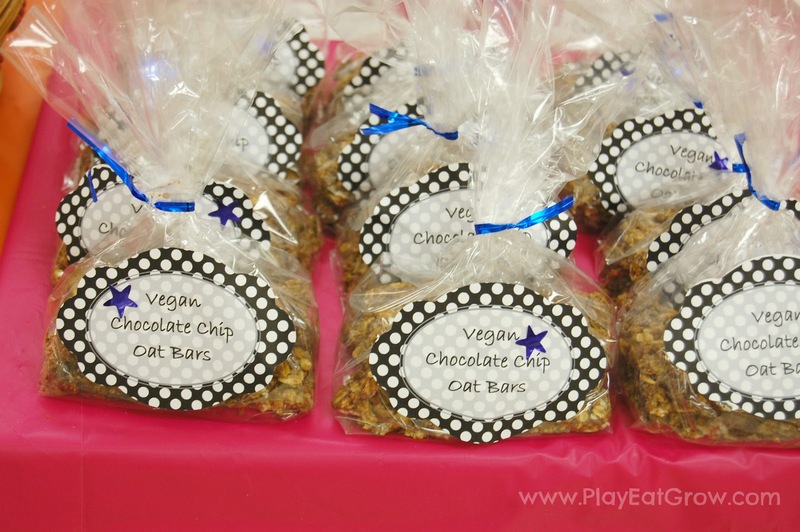 Do son’t forget to include things for people with gluten allergies, nut allergies, dairy allergies, or those following a vegan diet. The internet is a great resource for recipes if this is not your usual fare. 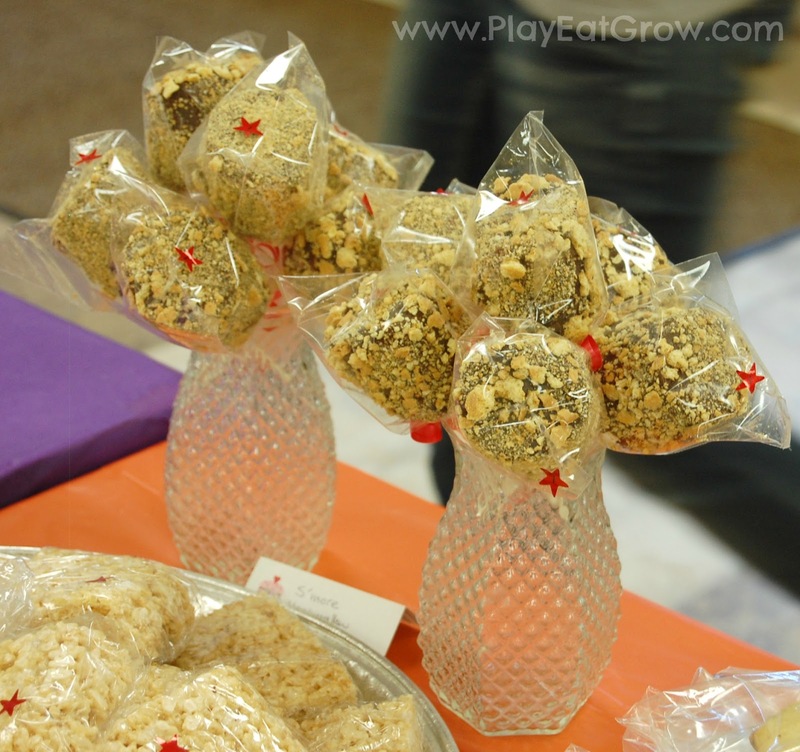 But an easy thing to make is gluten-free Rice Krispie treats. You make them the same as the original except you use the gluten-free Rice Krispies. Easy. Also, have your bakers include an ingredient list that can be referenced for those with allergies. It’s a simple thing to do, but it can make all the difference for someone with allergies, the difference between buying something and not. 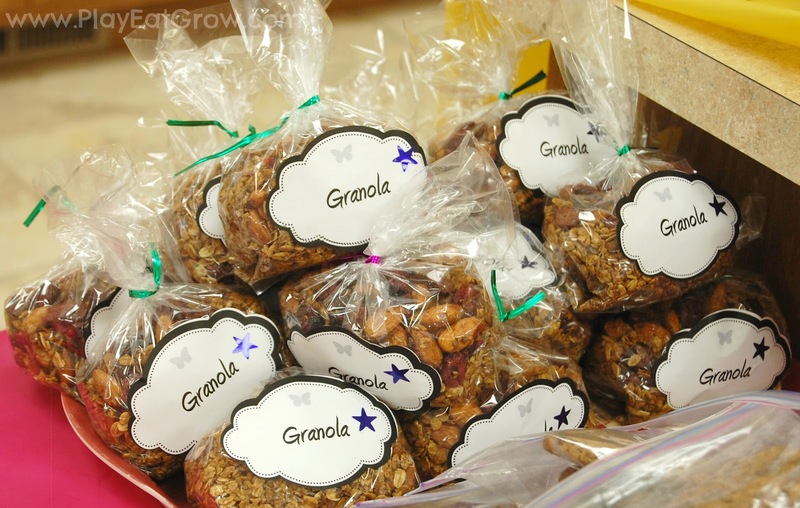 Breakfast in a bag with a cute label! 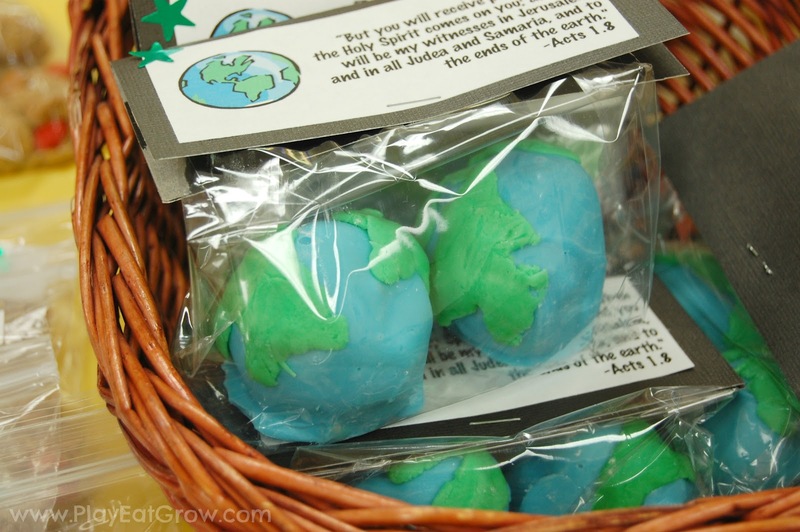 World cake balls to remember the purpose of the sale. Things on a stick sell! Put them in a vase for easy display. Think about the time of day that you are selling. If it’s breakfasty time, don’t forget to include good breakfast fare, like granola or cappuccino muffins. And if you hit lunch time, think of things people would want to eat right then. One of our best items was a veggie pizza that was sold by the slice. I wasn’t sure how people would respond to that, but it was gone in a flash. Other great non-standard fare that we had were jars of lemon curd, peanut butter cake pops, and dark chocolate covered pretzels. Also, anything on a stick has instant appeal to both kids and adults alike. Trust me. 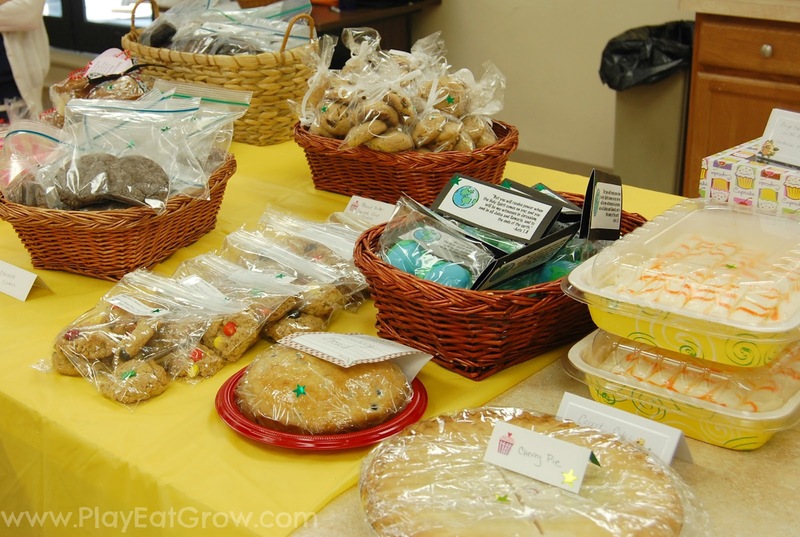 Our best sellers were still good old chocolate chip cookies, brownies, and banana bread. So don’t roll your eyes when people sign up for those things. They are an expected, and necessary, component to your sale. If you are doing a silent auction, make sure all your pens work because people will be bidding. And if you are selling things outright, provide plastic bags because people will be going home with a haul. Expect great things from God and He will not disappoint. This was a blessing for my church, it was a blessing for the missionaries we are supporting, and it was a blessing for me. It was so nice to find a niche that I could excel at and make a positive difference. 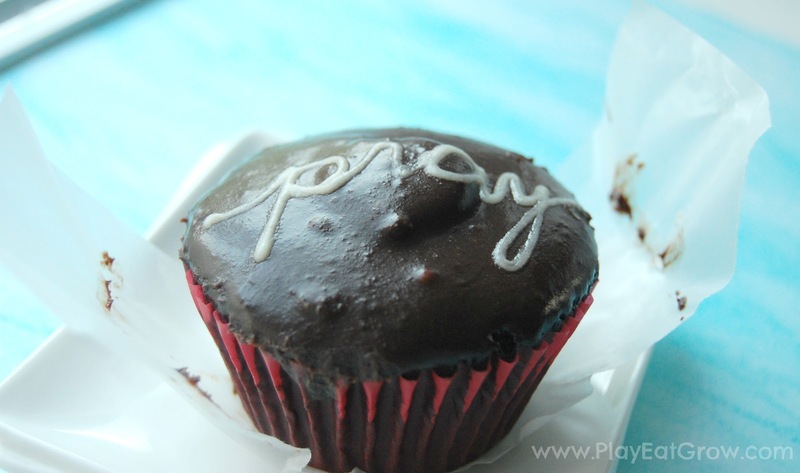 So please continue to pray about what you can do, and if you are seriously considering doing a bake sale to raise funds for missionaries in your church, I’d be happy to pass along any and all of the things I made up for my event. And I’d be happy to answer any questions you might have about any of it. What might God be calling you do to do today? Linked up on Tip Me Tuesdays and Whatever Goes Wednesday and Wow Me Wednesday and Tuesday Talent Show. Those really look lovely, thank you very much for sharing these tips in good selling.